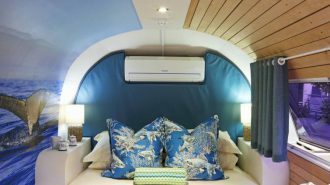 When it comes to the reasons that camping in an RV is more comfortable than camping in a tent, RV plumbing is perhaps one of the biggest. 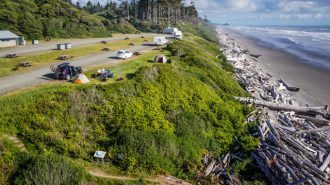 Having the ability to wash your hands with warm water, clean your dishes with hot water, have a toilet that flushes and of course, being able to take a hot shower in your own RV, are all luxuries in comparison to camping in a tent and having to use the campground facilities. These luxuries are available because of your RV plumbing system. 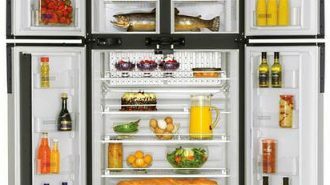 At first, the system that delivers the water to meet your needs can seem complicated. You have both hot water and cold water. You have fresh water, gray water and black water. There’s a water pump and a water heater. There’s a fresh water tank and a city water connection. 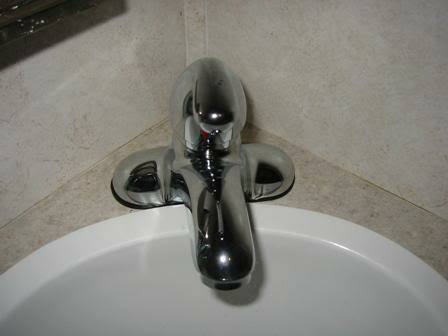 There are RV plumbing fixtures and RV plumbing fittings. The list goes on and on. 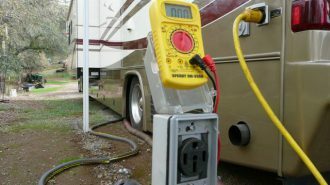 As an RV owner, it is incredibly important to understand your RV plumbing system and the RV plumbing parts that it includes, so let’s explore some parts of the RV plumbing system. First, let’s get a good look at an RV plumbing diagram. As you can see, there is a lot to look at, but let’s make it simple. 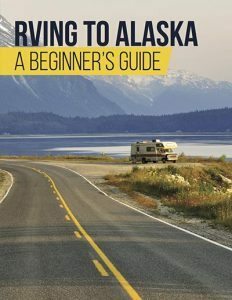 For the purposes of this article, let’s forget about the “City Water Connection.” We’re going to focus on how RV plumbing works utilizing the freshwater tank. This means that the freshwater inlet valve is our starting point. Water enters the system through the freshwater inlet valve to fill up the freshwater holding tank. 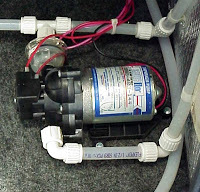 From there, a 12-volt RV water pump carries water from the freshwater tank into the plumbing system. This water pump is what gives the RV plumbing system pressure, so that when you turn on a faucet or the shower, you get running water. These little pumps are the lifeline of the RV plumbing system. 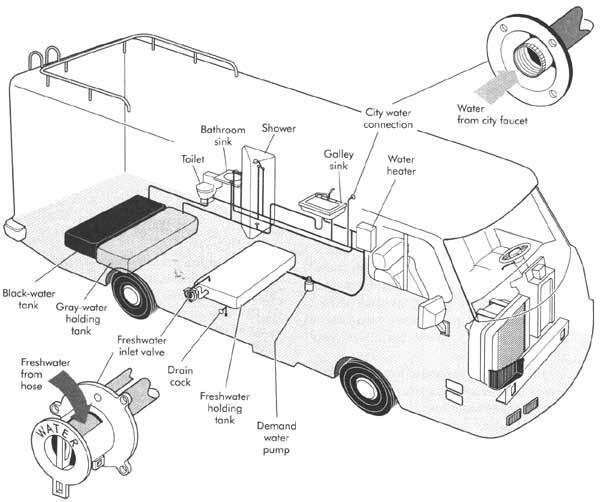 If you think of the water in your RV like blood in the human body, the water pump is the heart. 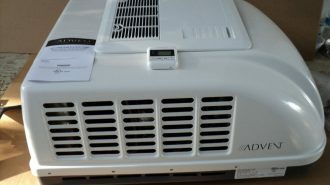 It pumps the water and keeps things moving. An on-demand water pump is an excellent feature which most modern motorhomes utilize. This means that you can keep the water pump turned on, but it will only run when it senses that the water system needs pressure, which is the case whenever you run water through a faucet or flush your RV’s toilet. Once it pumps enough water from the freshwater tank into the pipes to pressurize the system again, an on-demand water pump will stop running. Once your RV’s water system has been pressurized by the RV water pump, you now have access to running water through the many RV plumbing fixtures that are available to you. 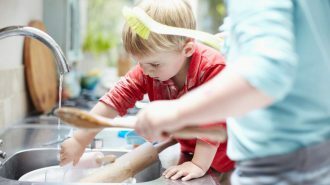 Your RV has one or more sinks in it, with faucets that you can turn on to get running water to wash your hands or to do your dishes. Your RV has a shower faucet that brings you running water to wash yourself. Many RV’s also have outdoor showers that can be used for cleaning yourself, your equipment or maybe your dog. There are even some RV’s that are equipped with ice- making machines that utilize water from the freshwater tank. Lastly, your RV has a toilet that uses water to flush your, ahem… waste into the black water tank. 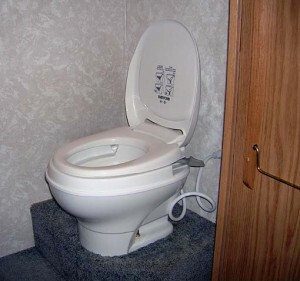 Typically, the plumbing of an RV toilet is pretty straightforward. When you are done doing your “business” in the toilet, you press a lever which will open up the toilet’s valve, dropping the waste into the black water tank while also running some water into the toilet bowl to clear it. It’s important to note that you should expect some clean water to be left in the toilet bowl after you have flushed, just like your toilet at home. In an RV toilet plumbing situation, this water does two things. First, it keeps the gasket, which seals the valve, lubricated so that it maintains a good seal. Second, it keeps any unpleasant smells ruminating from the black tank from entering your coach. Speaking of tanks, it is important to know that your RV has three different water tanks. We’ve already mentioned the freshwater tank, which is filled with clean, fresh water and we’ve mentioned the black water tank, which gets filled with waste from your toilet. 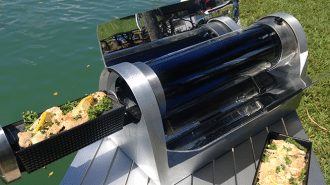 The third tank in your RV is the gray water tank. The gray water tank gets filled with water that runs down the drain when you shower, do dishes or wash your hands. The gray and black water tanks will also each have an RV plumbing vent. 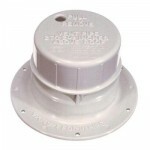 This vent is a pipe that runs upward, from the top of your gray and black water tanks, to vent out the roof of your RV. 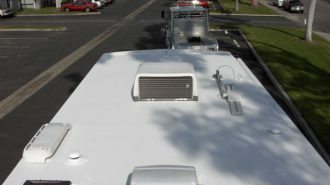 It may sound strange that these tanks are air-vented to the roof of your RV, but be assured that having the smells, that come from the gray and black water tanks, vent out of your RV in this manner is far superior than having those smells vent back into your coach! 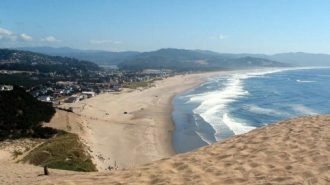 Having any running water is one great thing about RV’s, but of course, there are some tasks that are more pleasant to complete if you have, specifically, hot water and that’s where the RV water heater comes in. 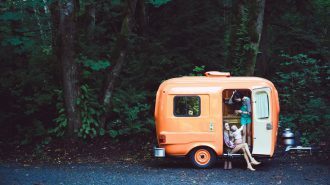 An RV water heater will typically have a 6-gallon or 10-gallon tank which is plumbed in as part of your RV plumbing system. Cold water enters the tank at the bottom through tubing from the fresh water tank. This cold water then fills the tank, which in turn pressurizes the hot water system in your RV. 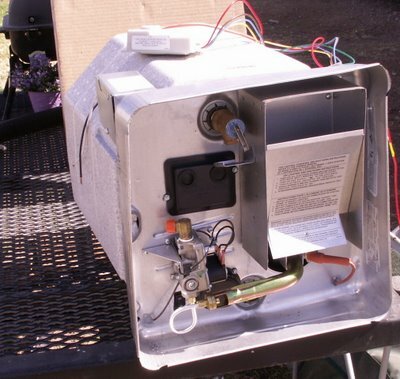 Once the water heater tank is full, the water heater uses either propane or electricity, depending on the type of water heater, to heat the water in the tank. Now, when you turn on the hot water valve on your faucets or shower, your RV plumbing system pulls water directly from the water heater tank. As you use the hot water, which exits from the top of the tank, the water pump senses a loss of pressure in the system and pumps more cold water in through the tube, into the bottom of the hot water tank. 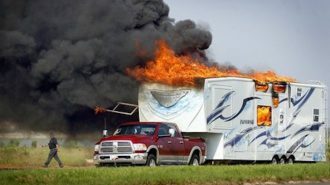 Just like your water heater at home, your RV water heater knows when to heat things up. The water heater has a sensor that keeps track of the temperature of the water in the tank. Once it drops below a certain temperature, your water heater will turn itself back on, to heat the water in the tank. Leaving the water tank on at all times means that you will have hot water at a moment’s notice. But it is important to note that each time the water heater turns itself on to heat up the water in the tank, it is using up your propane or electricity resources in the process. 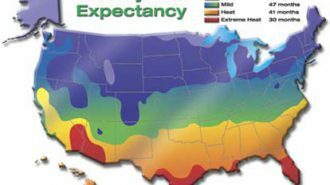 Because of this, it is a good idea to turn your water heater off at night, or during any period of time when you won’t need hot water, in order to conserve resources. Even if something comes up where you need hot water unexpectedly, because your RV water heater holds 10 or less gallons, it can heat up water for you fairly quickly, usually in about 5-10 minutes. 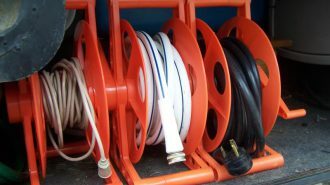 RV plumbing systems most often use some type of plastic tubing. The specific type may vary, but your RV likely has either ABS pipe or PEX tubing for water delivery to your RV plumbing fixtures and toilet. 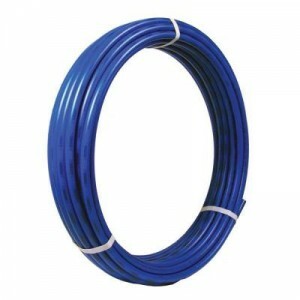 PEX tubing is becoming more popular, and if your RV was manufactured in the last 10 years, your RV plumbing system probably contains PEX tubing, because it is lightweight and more flexible than metal or ABS pipe options. PEX tubing uses metal RV plumbing fittings to connect two separate lengths of tubing together. 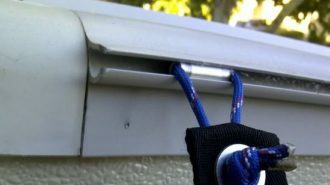 The fitting is pushed into the end of each hose and then a clamp or crimp ring is used to tighten the connection. 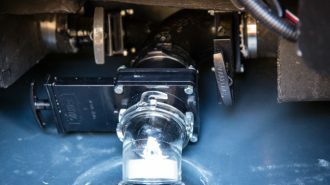 There are also several different types of RV plumbing fittings that may be used to turn water on and off, to connect tubing around corners and to connect tubing to RV plumbing fixtures. You never know when an RV plumbing repair is going to be needed. 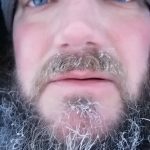 Whether it be an over-pressurized system or a pipe that broke during a winter freeze, breakdowns in your RV plumbing system may happen and you should be prepared for them. 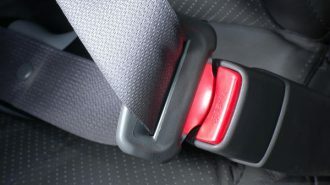 It is a good idea to carry along with you a few different-sized lengths of whatever type of pipe or tubing your RV uses, in case of a break while you are camping. Additionally, make sure you have a few of the RV plumbing fittings, that are most commonly used in your RV, on hand as well. 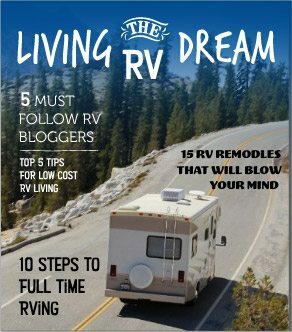 The pipe, tubing and fittings used in RV plumbing systems are not unique to RV’s. While any of these items can be purchased from the RV plumbing supply section of your local RV service center, you should also be able to find them at any national hardware chain or local hardware store. 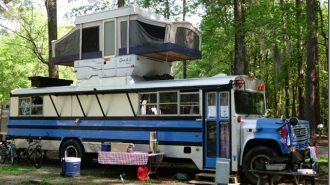 As you can see, your RV plumbing system plays an important role in delivering a comfortable camping experience. Because of this, it is important to get to know how it operates and what important pieces it entails. As a final note, please understand that each RV is slightly different. 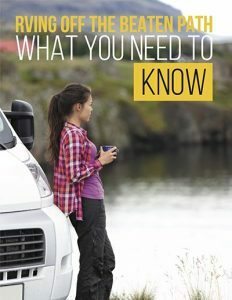 It is important to get to know your RV specifically, to understand what type of tubing, fittings, fixtures, pump and water heater you have and how you should maintain them. 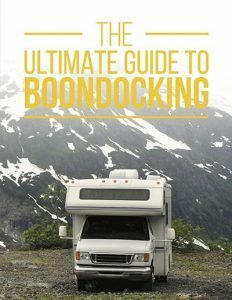 By having an understanding and being prepared to handle any issues that arise, you and your RV plumbing system will have a long life together!